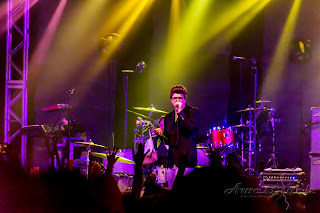 AUSTIN – A sold-out show welcomed the bands and fans, Saturday night. The crowd was mellow; the venue, Stubb’s Waller Creek Amphitheater, was filled to capacity. Before the sun went down, Harvard of the South began their set. The melodies wafted through the densely humid atmosphere. The bass lines and solid drumming caught the crowd, and soon the fans were waving arms, hands held high, and dancing to the beat. 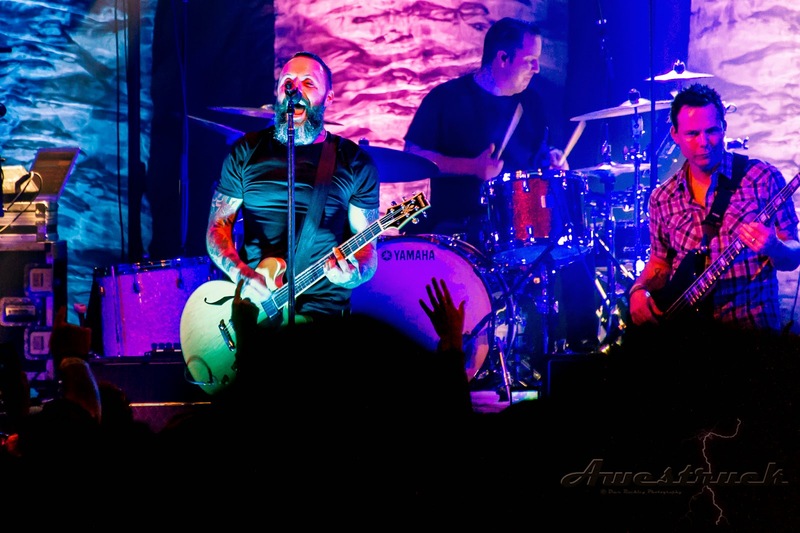 The appreciative crowd applauded the vocal musings of front-man Justin Furstenfeld. The crowd soon realized that the band that opens for Blue October is, for all intents and purposes, Blue October with a different playlist. That meant rewards for the early arrivals, and perhaps a little disappointment for those arriving too late to catch the early show. In this case, procrastination sucked for the tardiest. The set was excellent. Panic, a Morrissey and Smiths tribute band, took the stage for the second set. The band’s musicality and vocalizations by front-man, Josh Venable, were admirable. The set transported the crowd to the 80s, complete with flower waving. It was like the Moz, himself, was on stage. The crowd was a bit too mellow to appreciate the accuracy of the performances. 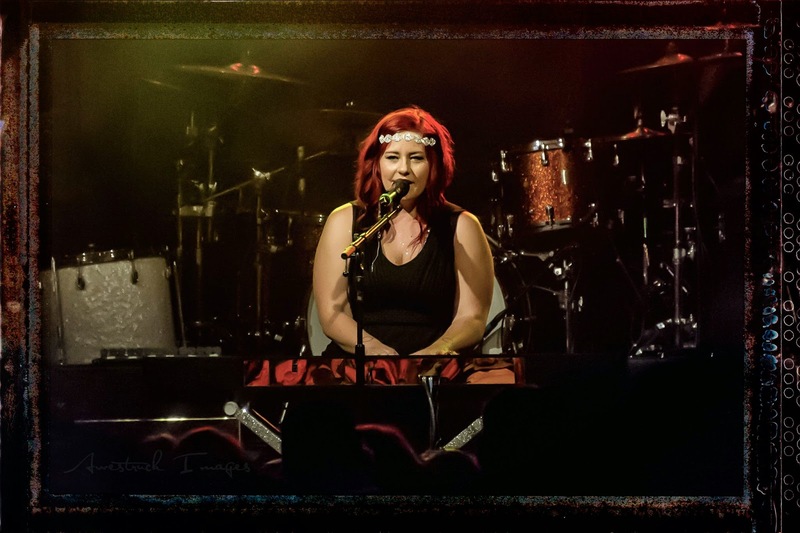 As a special guest of Blue October, Ashleigh Stone performed a solo, single-song set. Her strong pure voice and keyboard arrangement were hauntingly beautiful. The crowd was mesmerized by her performance. 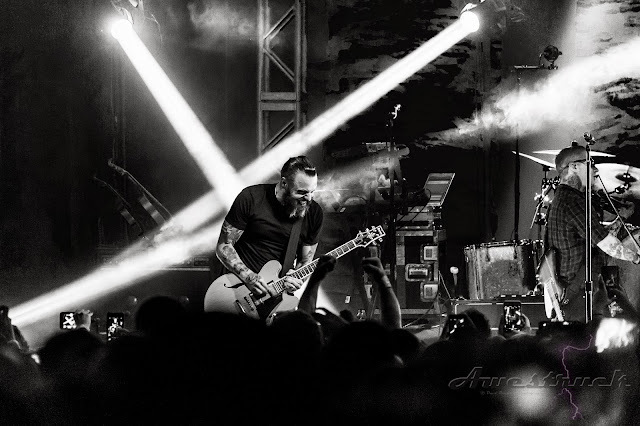 Blue October took the stage for the last set, and treated the crowd of 1,200 to an emotional roller coaster of tender love songs, melancholic ballads, and rousing rock. Justin put his heart and soul into each performance. 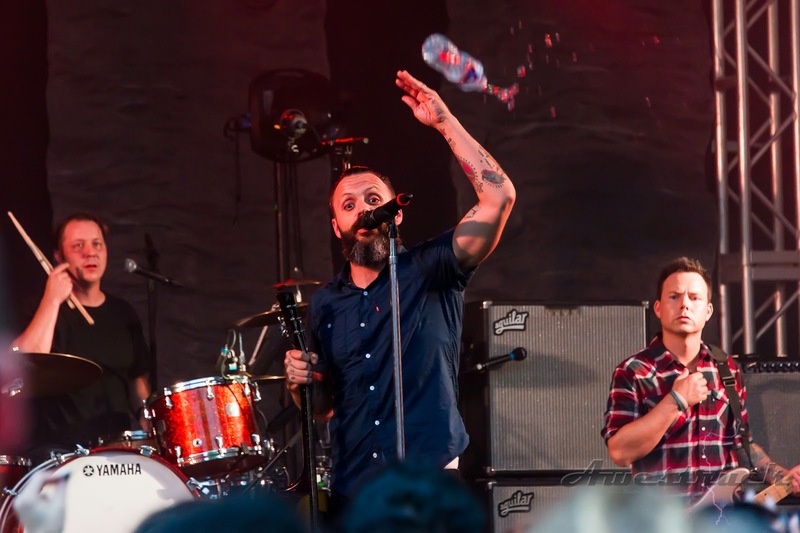 He playfully threw water into the crowd and promised to drip sweat on anyone coming in too close. Everyone tried. There were fans of all ages – kids, twenty-something’s, thirty-something’s, forty-something’s, and those approaching seventy. All were groupies hoping to cash-in on the experience at hand. Between songs, Justin shared his appreciation for all the support. With tears in his eyes, he expressed heart-felt thanks for helping him survive, what he called his darkest times. The crowd responded to the sincerity; the band responded with more music. The night was way too short. The overall performance was way more than expected. This performance was the last show of the band’s Sway Tour. Don’t worry; the new album, Fear, and the Fear Tour are already underway.